Physical edition due out two weeks after digital edition. 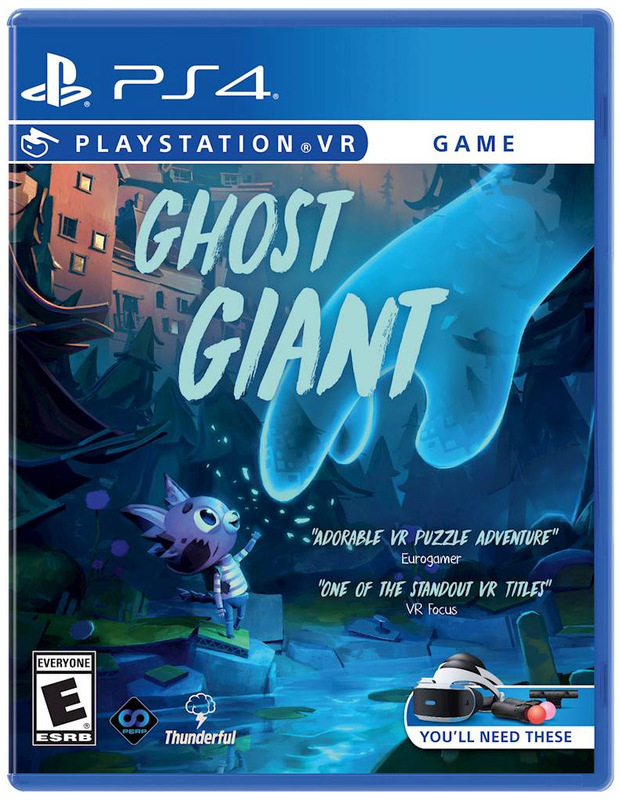 Publisher Perp Games will release a physical edition of developer Zoink Games’ PlayStation VR-exclusive Ghost Giant in North America on May 7 for $29.99, the companies announced. Pre-orders are available now at Best Buy, and will soon be available through retailers including Amazon, GameStop and Target. The digital edition, as previously announced will launch on April 19. Perp Games also previously announced a physical edition for Europe due out on April 19. In Ghost Giant, players take the role of the curious giant, visible only to a little lonely boy named Louis, who is eager to make a new friend. As the Ghost Giant, players will work to build trust with Louis, providing physical assistance solving puzzles and offering support and friendship for a child in need of some guidance. The interactive, colorful world of Sancourt is full of discoveries and new people to meet. Players can peek into windows, open doors and interact with the townsfolk while exploring the harbor, Louis’ sunflower farm and the local junkyard to solve puzzles and help Louis and his neighbors with various tasks – big and small. Dollhouse Town Tinkering – Using the PlayStation Move Motion controllers, players can peek into, rotate and open individual houses to reveal the stories going on inside as the occupants go about their daily lives. Vibrant Sancourt Setting – Players will explore the harbor, nooks and crannies of the town, Louis’ sunflower farm and the local junkyard to solve puzzles. In addition, players can interact with items throughout the world, pulling plants, lifting vehicles, and fully immerse themselves in the tactile experience. Heartfelt, Compelling Story – The sandbox experience is enriched by a sincere story created in collaboration with Swedish writer Sara B. Elfgren, well-known for her Engelsfors Trilogy, which has been translated into 25 different languages and even adapted into film. Neighborhood Watch – While Louis is the only character that can see the player, the Ghost Giant can also interact with other residents, leaning in to listen to the locals’ conversations, plucking hats off a passerby’s head, or interacting with the nearby environment to generate a response.